Large-scale machine learning, be it supervised or unsupervised, has become an important cornerstone of the information systems we use today. It is only natural that it would become a hot topic in Information Security as well, and a large number of security startups have appeared claiming miracles due to their experience with big data technologies even without previous experience in the Information Security field. It turns out not all algorithms and techniques are born equal, and protecting networks and endpoints from attackers is a very different problem then recommendation engines and automated ad bidding. Not to speak of the potentially disastrous results if techniques are applied incorrectly or with a bad sensitivity/specificity calibration. This presentation will describe how information security is a different problem and the challenges intrinsic to this specific field that many first entrants seem to ignore. We will discuss strengths and caveats of unsupervised and supervised models in this scenario and where they have historically been applied in different segments of InfoSec. It will provide all the background in Information Security you may need to enjoy it, and will shed some light on burning questions about "why isn’t this all secure with deep learning already?" and "if I can decide to bid on an ad in milliseconds, why can't I use this tech to block an attacker?". 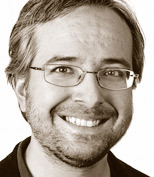 Alex Pinto is the Chief Data Scientist of Niddel and the lead of MLSec Project. He is currently dedicating his waking hours to the development of machine learning algorithms and data science techniques to support the information security monitoring practice. So far, he has presented the results of his research at multiple conferences, such as Black Hat USA, DEF CON, FIRST and SANS CTI Summit. He has almost 15 years dedicated to all-things information security, and 3 years in Data Science-related research. If you are into security certifications, Alex is currently a CISSP-ISSAP, CISA, CISM, and PMP.